What is it about the numeral 6? It seems like those who were making Liberty Seated Quarter dies really struggled to punch a 6 in the right place. The first appearance of a 6 on a seated coin was in 1846. Sure enough there is a quarter with a “dropped 6” (Figure 1). 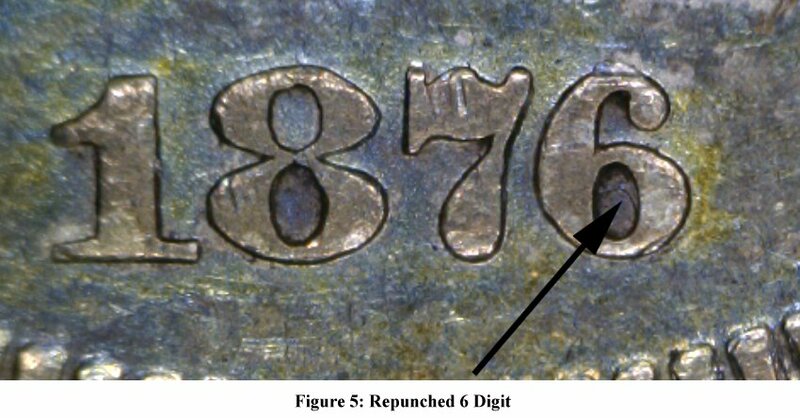 Ten years later, in 1856, in addition to a Flag of a 5 in the shield and a Flag of a 1 in the skirt, there is a loop of a six in the rock on one obverse die (Figure 2), a 6/6 (Figure 3) on another, as well as a second die with recut 6 and a doubled die obverse with a doubled 6. 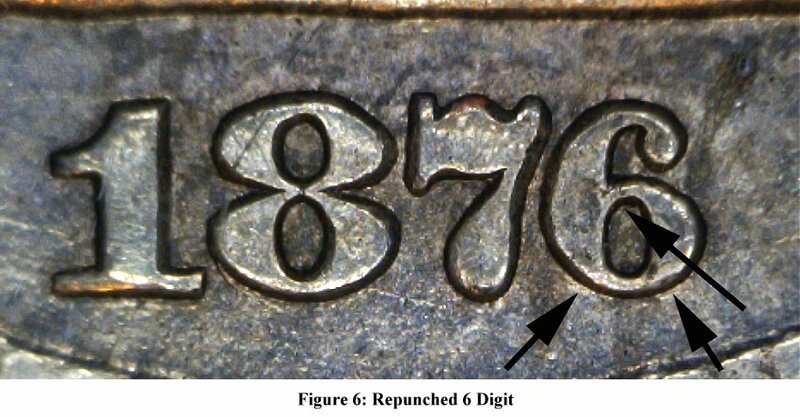 By the time 1860 rolled around it seems that someone must have said, “Hey, we are going to be using the numeral 6 every year for the next 10 years so we better figure out how to place it.” The 1860’s turned out relatively uneventful for misplaced 6’s on quarters. 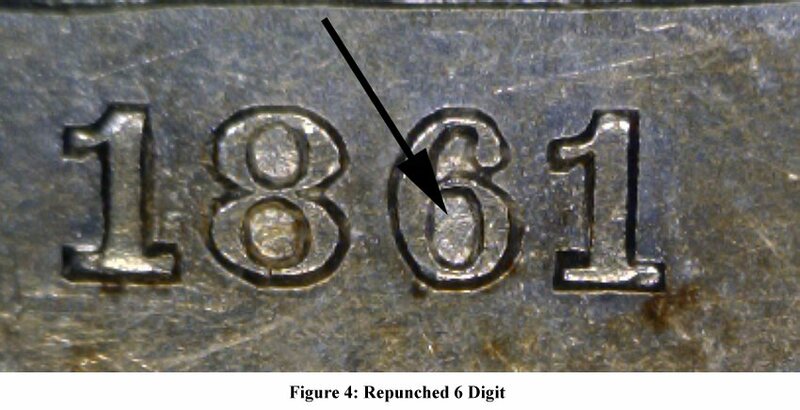 Despite some high mintages and a large number of dies, only three of them had a misplaced 6: the 1861 (Figure 4), 1864, and 1869-S with an extra “86” in the denticles. It was 1876, though, that brought the mother of all 6-related coining disasters. There are no less than three distinct misplaced 6’s on the 1876 quarters from the Philadelphia mint, and 4 among the 1876-CC issues. Unfortunately, photos of 1876 Briggs Obverse 4 (7 and 6 repunched south) and Obverse 7 (extra 6 between 7 and 6) could not be located – except for those in Briggs’ book (The Comprehensive Encyclopedia of United States Liberty Seated Quarters, Lima, OH 1991). 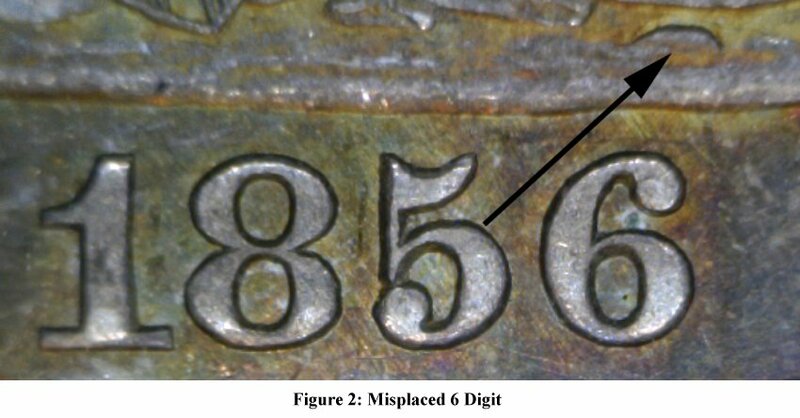 A photo of 1876 Obverse 6 is shown in Figure 5 and 1876-CC Obverse 1 in Figure 6. 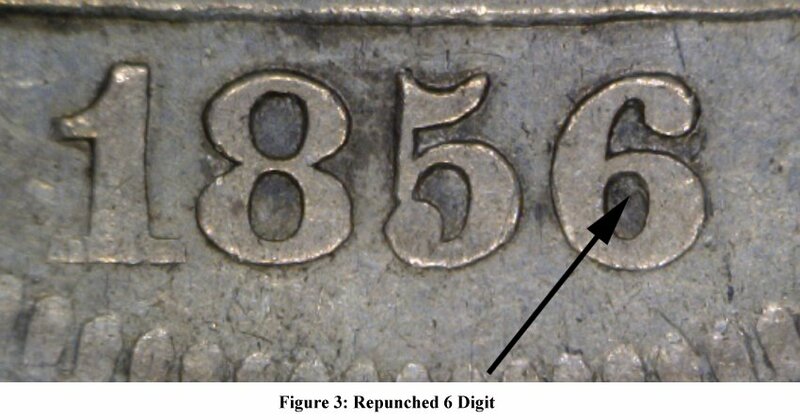 One almost has to wonder if some mint employees in 1876 were walking around with 6’s impressed on their hands. Apparently, by 1886 the cursed 6 punch had been retired and there were no more misplaced 6’s.